QUEZON CITY—“It is time,” says art historian and museum curator Gari R. Apolonio on the publication of his book Dreamscapes: The Art of Perfecto Mercado. The book launch coincides with the opening of a retrospective exhibit of Mercado’s “dream-making” that spanned 40 years. Apolonio, a UPCFA alumnus, began working on the book in 2008 when Arnold Mercado, the eldest son of the Tarlac-born Perfecto Mercado, commissioned him “to provide a truthful and accurate documentation” of the life of Mercado and his “intriguing and breathtaking collection of work” that the public hardly saw when his father was still alive. 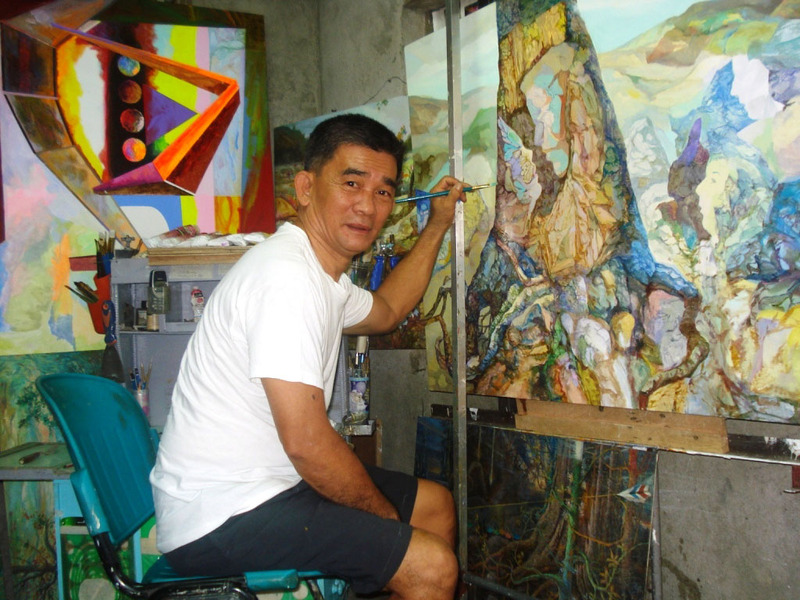 The growing admiration for Mercado in the art circle came to a halt due to a fatal stroke on March 30, 2011. 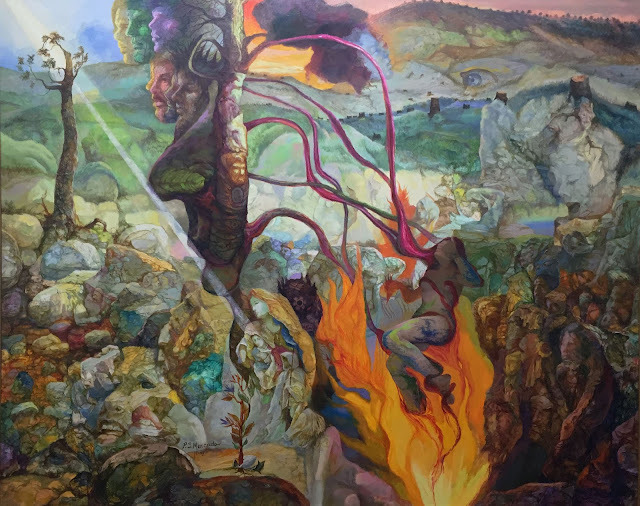 “Borne out of Mercado’s vivid spiritual dreams, the series that exhibits a mature style, deep intent, and technical mastery had a short run due to his passing,” said Apolonio. He said many people have wondered how impressive his succeeding works could have been if Mercado were alive today. Mercado did not see to fruition a landmark achievement in his career—his first solo exhibit at a major Philippine museum. His son Arnold opened the Dreamscapes of Perfecto Mercado exhibit at the Metropolitan Museum of Manila in September 2011 with prolific art historian Professor Santiago Albano Pilar as guest of honor. Pilar then lauded Apolonio for his effort to bring to the public consciousness “underrated and under the radar artists who have immense talent” as it was also his advocacy. “Art history should serve the needs of unknown yet talented artists like Mercado, who did not finish high school and had no formal studies in art,” said Pilar. Sustained only by his passion for his art, Mercado was already 25 years old when he switched from painting movie billboards to fine art painting in 1975. He was on his way to reaching his artistic summit when he passed on, but “his loved ones have made sure his art will be forever remembered through this book,” artist and art critic Cid Reyes wrote in the book’s foreword. “As the reader turns each page, Apolonio serves as a curator and exhibition guide, enlightening, imparting analysis and drawing conclusions,” Reyes wrote. 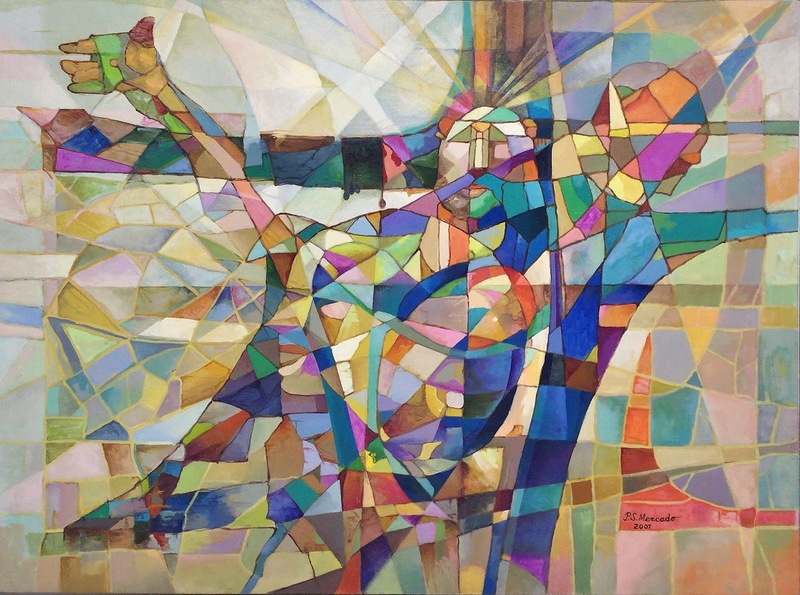 While the book aims to inspire artists to strive for excellence and have unwavering commitment to art, Dreamscapes is also a testament to the struggles and triumphs of Mercado whose artistry was nurtured by a deep faith in God and devotion to family. The book is published by Arnold Mercado through AT Mercado Publishing with photographs taken by book designer Denes Dasco and additional images by award-winning photographer Ruston P. Banal, both UPCFA alumni. Apolonio says that Mercado is a dream-inspired artist who painted what he dreamt, much like the weavers of the T'boli community who made weaving patterns out of their dreams. 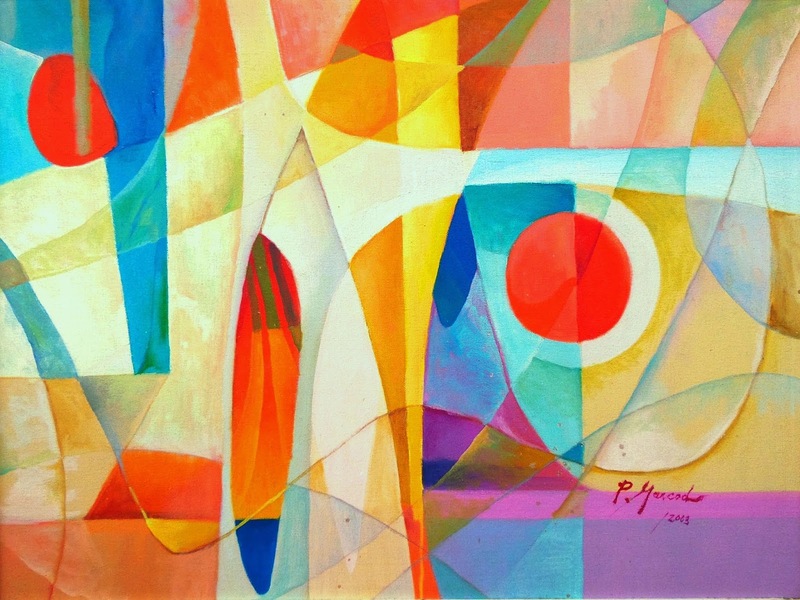 Lyrical and enigmatic, Mercado’s Dreamscapes represent the apogee of his art, says Apolonio. It is not surprising that Mercado caught the attention of other artists at the group shows he joined, including leading portrait artist Caloy Gabuco who admired the intensity of his brilliant colors and the minimal compositions of his landscapes. Apolonio says that Mercado’s works are some of the best accomplishments of a Filipino regional artist. Mercado represents the unknown and unrecognized regional artists, many of whom are still struggling but who have much to offer. “They reflect the authenticity of non-Manila art as they give color, flavor and richness to the creative landscape of the country,” says Apolonio. “Like the book and exhibit on Mercado, the life and works of regional artists who are not as widely known as their Manila-based contemporaries must serve as impetus for documentation by art historians,” says Apolonio. The exhibit will also feature Mercado’s old photographs, art paraphernalia, and a video material for a holistic perspective of his life and his art. Apolonio says that Mercado’s dream-making may have abruptly ended, but through the book and his body of work, extensions of his dreams and vision, his memory will be kept alive by their “sheer power and magic” and the support of his family, followers, and friends. Gateway Gallery, located at the 5F, Gateway Tower, Araneta Center, is open from Monday to Sunday, 10:00 a.m. to 7:00 p.m. Call 588-4000 local 8300, email gatewaygallery@aranetagroup.com or visit its social media sites GatewayGalleryPH on Facebook, gateway_gallery on Twitter and gateway.gallery on Instagram. Gateway Gallery is managed by the J. Amado Araneta Foundation.